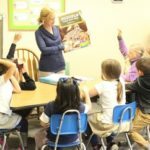 Legacy School offers a variety of classes for Preschool, Pre-Kindergarten, Kindergarten and Elementary students. School tuition is unique to the classes and programs in which a student is enrolled. The administrators are educators with over 45 years combined teaching experience. 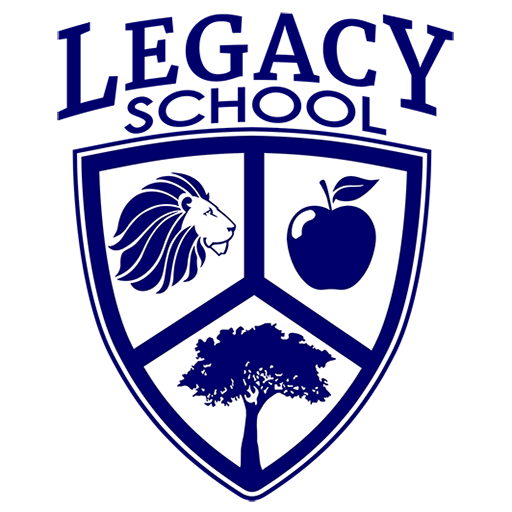 All teachers at Legacy School hold Bachelor or Master Degrees in Education. We hold the highest educational expectations for students, as they attain their greatest potential. The focus of our school’s standards is to supply our students with the necessary learning tools to become lifelong learners. Come, take a tour and see a new choice for your child’s education. Legacy School’s private elementary classrooms offer a place for students to excel beyond the typical standards. The focus of the elementary curriculum is to supply the necessary skills that allow students to become lifelong learners. Legacy School holds the highest educational expectations for students, as they attain their greatest potential. Teachers draw on a variety of sources to best support each student’s learning capabilities. Rather than “teaching to the middle,” Legacy School fosters an atmosphere where each student’s intellect, curiosity and growth is nurtured on his/her level. 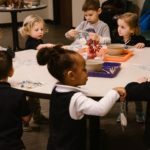 Students at Legacy School do not get lost in the crowd, as class sizes are extremely small in comparison to other Omaha private and public schools. Along with an experienced, exceptional teacher, every class has the support of a full-time teacher’s assistant. Having this team of educators in every classroom allows for the flexibility necessary to educate the whole child, based on individual needs.